I am composing a list of reviews for this forum titled 100 Ghost Jams. 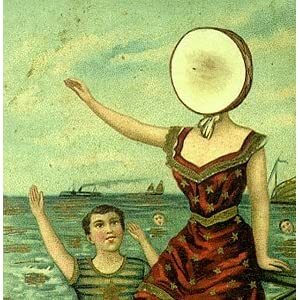 Here's a teaser: I'm having trouble where to place In the Aeroplane Over the Sea in the top 10 albums. The album is currently competing for number 2. Yes, this record is that that good. Sounds interesting. Is it a list of your favorite albums or what you think are the best albums, etc...? Ah...it's a sort of mix between what I think are the best records ever and my favorite records ever. I'm only allowing one record per artist (among other criteria), so that frees up many slots in terms of what I think are the best albums of all time. White Light/White Heat is not for the timid...but if you're already behind the Velvet Underground & Nico and can dig on tracks like 'the Black Angel's Death Song' and 'Heroin' then you're primed for White Light/White Heat. BTW...my favorite by VU is their self-titled endeavor...it has just recently dethroned tVU&N after nearly 20 years. Not sure why, but music will do that, I suppose. I wasn't aware there was hype. Nearly everyone I meet has never heard of it. This is an album that fills the veins. It's a tremendous account having to do with human loss and pain. I really do see it as an exquisite composition, one of the best of all time. Aha, good criteria. There's nothing more annoying than a list someone creates dominated by a dozen albums of their favorite artist, or of every single record the Beatles ever put out (nothing against the Beatles, just a common example lol). Have fun & hope you decide to post it here. Oh yeah. Heroin is a hell of a song, lyrically and structure-wise. I remember the first time I heard that one it kinda blew me away. That first album has a lot of experimental tracks & some pretty out there ones too. For me the self-titled one's a lot easier to listen to - more consistent I guess? I'm not as familiar with White Light/White Heat but I'll take your word for it, hah. And I like Loaded because it's just got a different tone to it overall... I remember giving the album to my dad after he'd heard their other albums and asked me why all of their music was depressing xD I guess it's their only album I can say puts me in a good mood. The others are great, yeah, but I almost have to be in a certain mindset to sit down & listen to them if that makes sense. It's very easy for constant blastbeats to become monotonous, but Krisiun manage to make it work and create death metal that just gallops along and just feels like it's coming straight at your face. Try looking online (especially /mu/). You'll find many people creaming their pants over it. OK Computer is full of amazing.